The event description reads, “Raising $500 to send a Mariachi band to cheer up the staff and attorneys at The Law Office Of Aaron M. Schlossberg Esq. P.L.L.C. after a difficult day. We are requesting the band to sing the famous, endearing, and warm Spanish children song, La Cucaracha, the cockroach.” The goal was set at $500, but the fund was closed at $1,094 after a single day, with contributions from 79 people. 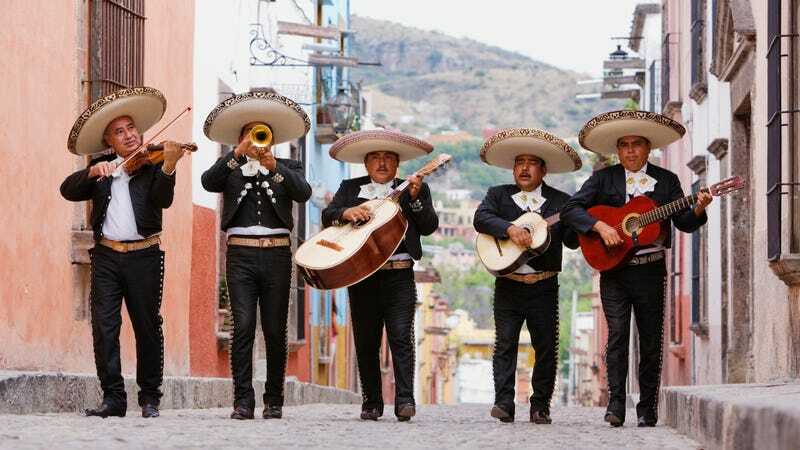 In the meantime, updates on the donation page report that a mariachi band has donated their fee, so the money will be spent on the taco truck and extra party stuff like piñatas. Is there time to create one in Schlossberg’s likeness? An Inside Edition video shows that this is—surprise—not the first time that Schlossberg has yelled at random “foreigners” in public places. The event organizers, fearing counter-protestors, are keeping the details under wraps, but we would not be surprised if Schlossberg had yet another viral video in his future once the band and tacos show up.